Sharing experiences from my travels. After a pleasant early evening walk around Stadtpark, I was torn between going back to my apartment and wait a while and go out again for dinner, or just go and have something to eat right then since I was already out and about. 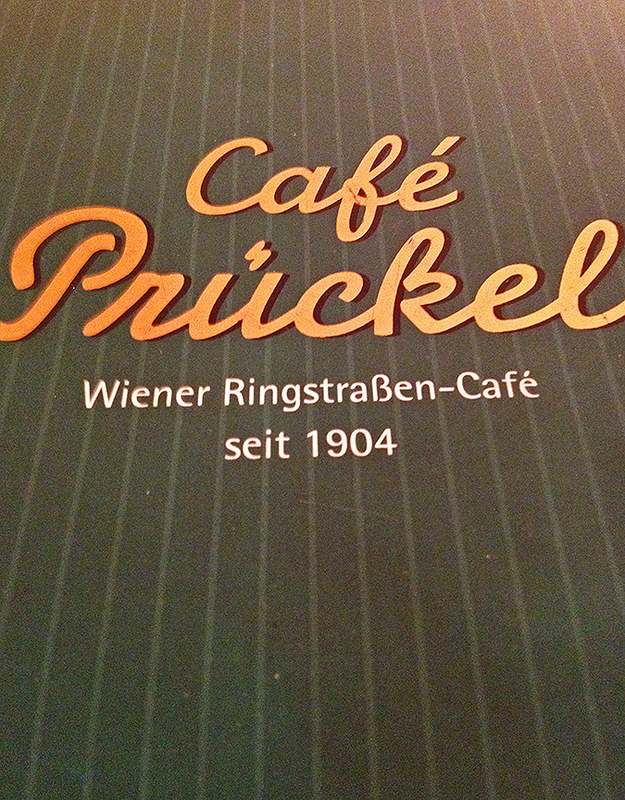 Then I saw Café Prückel’s brightly lit sign, and my self-debate was over. Established in 1904, this classic Vienna coffeehouse is favorably situated right on the Ringstrasse across the Museum of Applied Arts, AKA The Mak. I situated myself at the nearest open table adjacent to the piano. Moon River was playing, and I immediately sunk into the café’s 1950’s atmosphere. Designed by Oswald Haerdtl, who was one of the leading designers and architects of his time, Café Prückel’s minimalist décor only accentuated by the glittering crystal chandeliers appealed to my taste. I heard that not much has changed in the interior since. The waitress asked if I needed an English menu; she got this foreigner pegged, which isn’t so hard since Asians are the stereotypical tourists in this neck of the European woods. 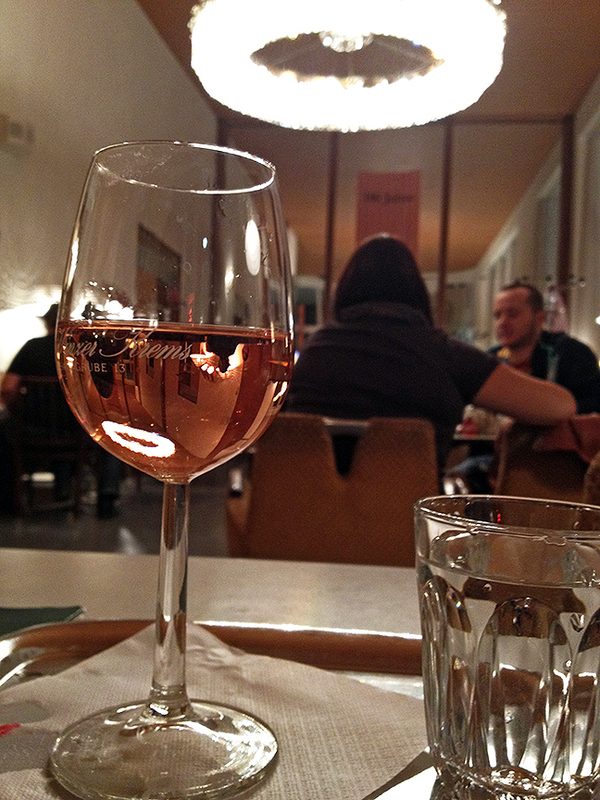 I wasn’t very hungry, so I ordered a glass of rose and an apple strudel. Sensing a theme, aren’t you? My order came quickly and already had made some observations about the other patrons around me. 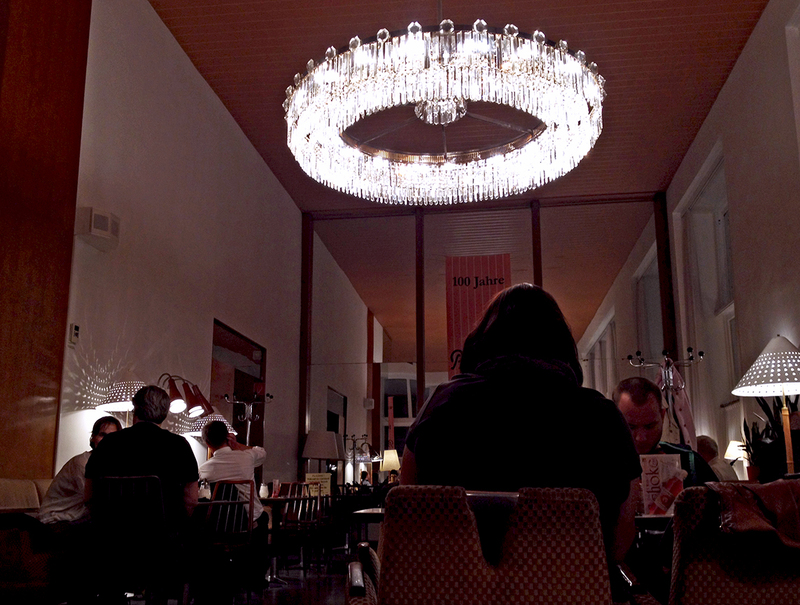 There was a couple seated at the table in front of me directly underneath the chandelier. They looked like they were on a date. There was also a pair of ladies seated by the window who seem to be involved in some sort of business-related discussion with one of them as the client of the other. Eavesdropping was fruitless as they were speaking German. I could only surmise that the blond lady with the tablet was showing her client some sort of proposals. My guess would be that she was an interior designer. A glass of rosé was cheaper than water. Relishing the moment with my glass of wine while the music produced by the pianist resonated across the whole café, I could not help but pinch myself just to make sure I was not dreaming. 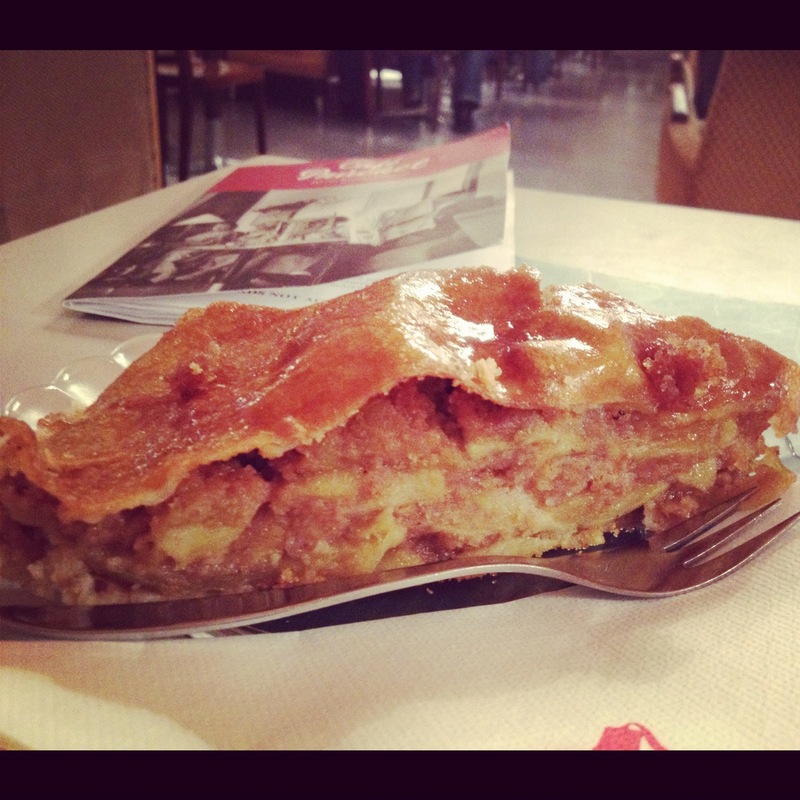 I was well into my strudel and Moon River was still playing. It was like having it on repeat, but it was live piano music. I didn’t mind it because I absolutely adore that music and to be listening to it being played in a Viennese coffeehouse amidst all the chattering diners and clanging of dishes … at that very moment, I felt so alive. I consumed my strudel and was already feeling the slight buzz of the wine. (Yeah, I’m a lightweight.) It was damn good wine. It was still early in the evening and to ensure that I still remember my way back to my apartment, I knew I had to counter the wine with some coffee. I got myself an espresso, which was called the Original Prückel Crème. 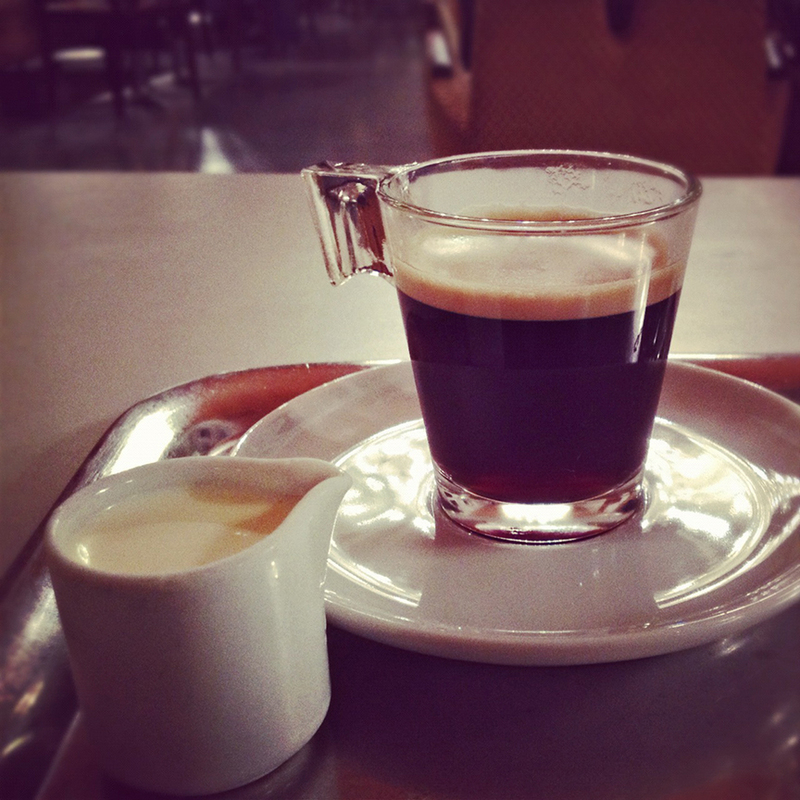 Quite a popular item, it’s essentially a small espresso served in a special glass with a side of quality cream. It was strong but without the overwhelming bitter finish. I loved it! The mesmerizing chandelier dominating the room. I exited the café feeling revived and thinking to myself, “Wow, I really had my Vienna moment in there!” In hindsight, Café Prückel is not as posh as the other classic Viennese coffeehouses, but to me, that is what makes it charming. With its modernist décor plus the comfy corner seats, it was the place where I would return and find myself spending hours with a good book.